The reason for starting a blog for Key Candles was because we wanted to share our knowledge about candles with other people who have a passion for candles and candle making. One of the ways we would like to share our experiences is by featuring other candle makers and especially handmade candle stores. 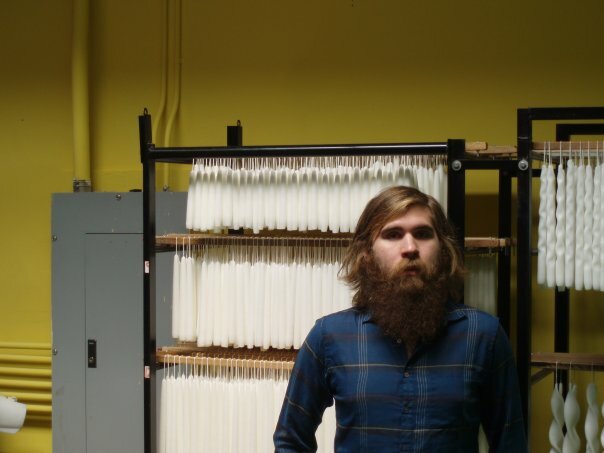 Jonny and I have seen candle stores all over the country and it is incredible how each establishment is unique. As we continue to travel and see new stores, we will keep you updated on our adventures. Regarding our posts on candle stores, I feel as though it would only make sense for us to start at the beginning of it all. For those of you who don’t know, Jonny and I first met when we both worked at a handmade candle store in Chicago, IL called Waxman Candles. All of the candles at Waxman are made by hand in the shop. 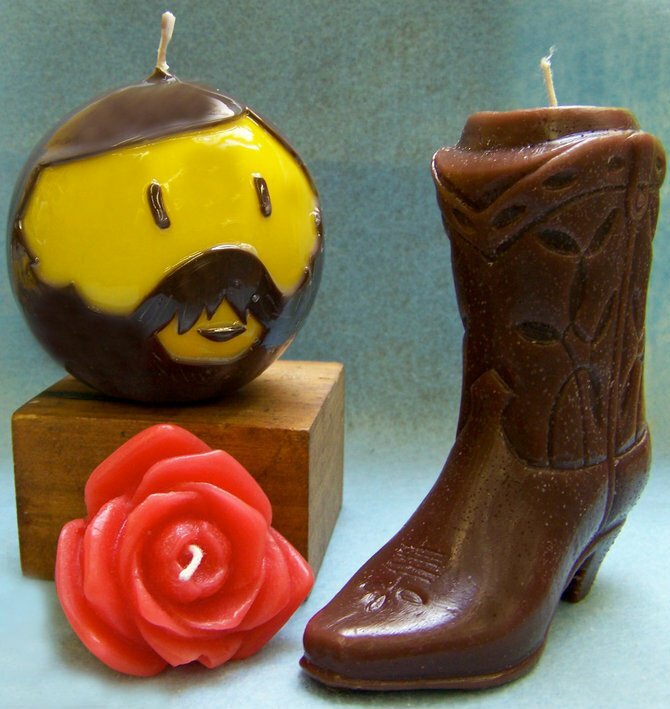 While Waxman offers many cute novelty candles (bearded smiley face, leather scented cowboy boot, and rose scented rose floater candle), the best sellers were always regular scented votives and pillars. The fragrances covered the scent spectrum and our loyal customers always came back for their favorites. Something I always appreciated about Waxman was that people were welcome to come back into the workspace and see how the candles were made. When I was a kid I remember being fascinated with candy stores with glass windows into the kitchen with people making candies, and I feel the same way about this kind of candle store. If you appreciate buying handmade, why not take it a notch further and see it being made? Waxman also has workshops for adults and children. Giving a handmade gift is so much more interesting than buying one already made. 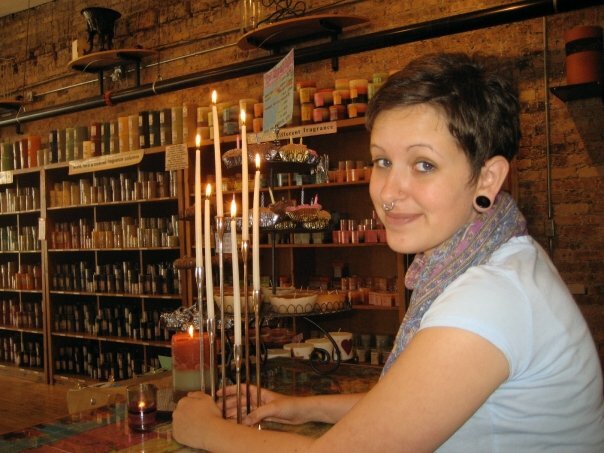 While I was on a road trip a couple years ago I was lucky enough to be able to stop in to the original Waxman Candles in Lawrence Kansas to see where it all began. This shot is of the production area in the back of the store. 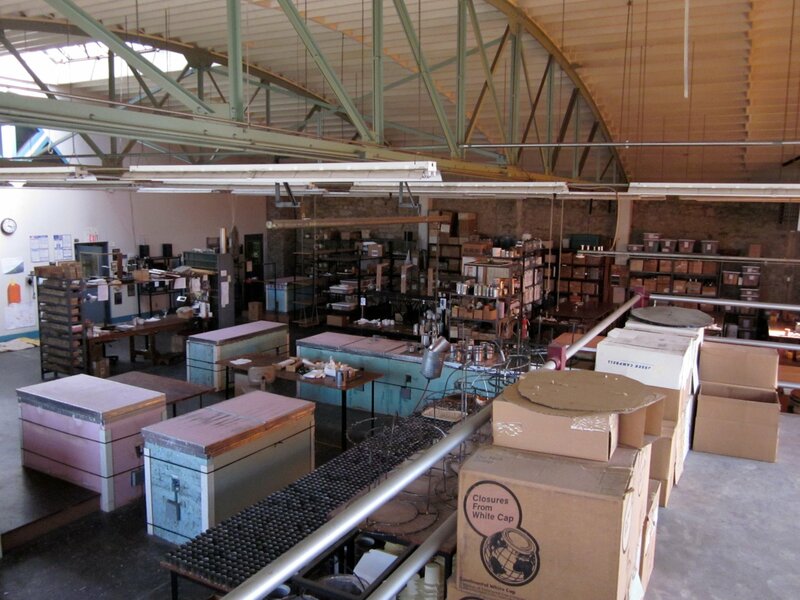 This isn’t even all of the space they have for candle making, there is more in the basement! The Kansas store also has a swing in the middle of the production floor for break time swinging. We still keep in touch with the Waxman Chicago folks and stop in whenever we are in town. We owe a lot to Waxman, and hope for their continued success. Happy Spring, am I right? Here we are mid April in Minneapolis and we get dumped with snow. Oh well, prolonged candle weather. We have been gone for a week on a trip but we’re back now with a new Candleholder Thursday with these adorable washi tape cups. Click the photo to find the maker, Kelly Oshiro. 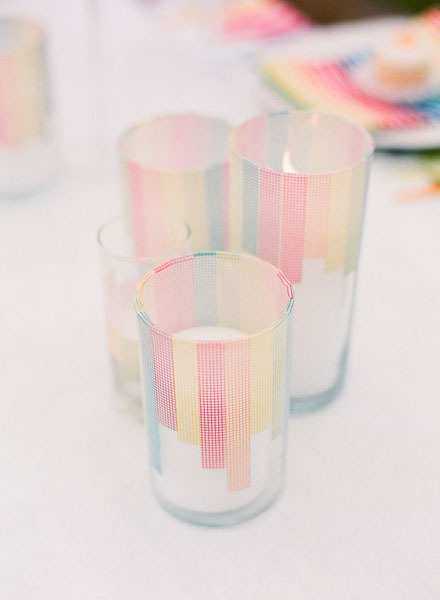 If you haven’t played with washi tape yet you’re missing out on a lot of crafty fun. This project could have so many unique outcomes. I also thought I would feature these today because they remind me of spring (which is supposed to be here right now). Have you done any DIY candleholders? Tell us all about it!